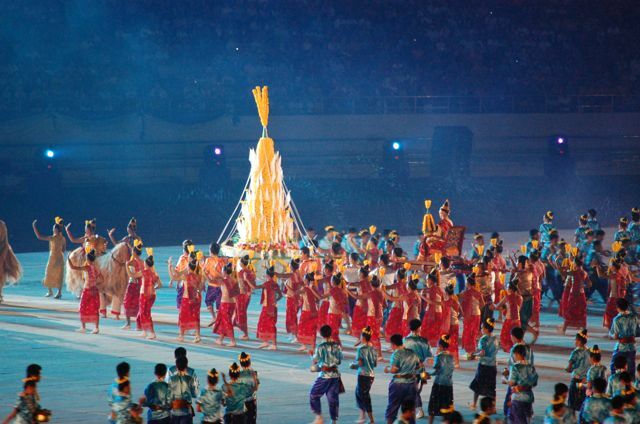 The 25th Southeast Asian Games wrapped up last Friday night with an impressive closing ceremony, which, in contrast to the historical flavour of the opening, stuck to popular and light-hearted aspects of Lao culture: the story of Pu Nyoe and Nya Nyoe (grandfather and grandmother Nyoe), the Lao New Year festival, the rocket festival and the boat-racing festival. 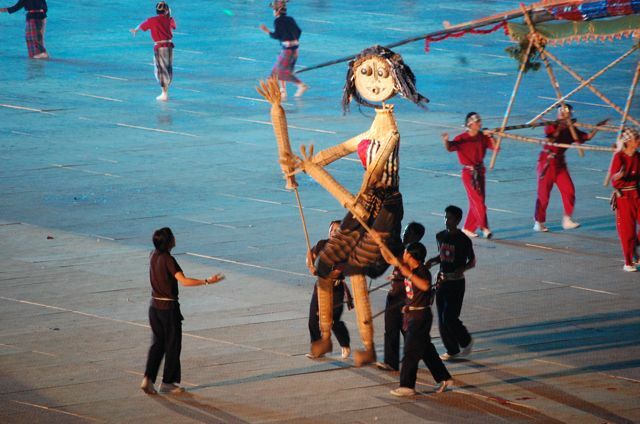 As well as an ‘ancient cultural tradition’, the last of these was described as the ‘first national sport of Laos’, thus projecting Laos’ new found sporting success – on and off the field – into a timeless past. 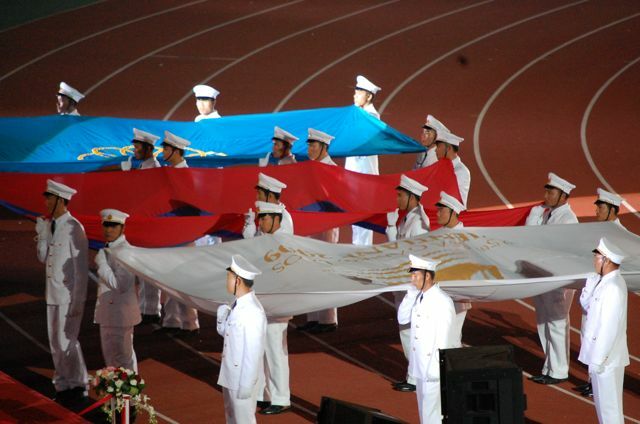 All of this came after the flags of Laos, the 2009 SEA Games and the SEA Games Federation were lowered and the latter ritually passed to the hosts of the 2011 games in Indonesia (see photographs below). 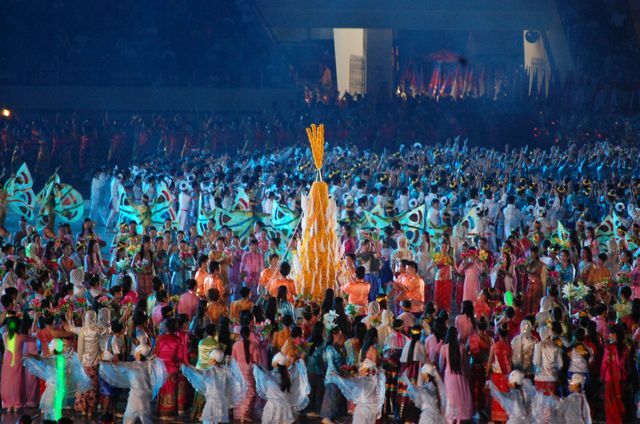 But here I want to turn to how this year’s SEA Games have been received throughout the region. As I’ve mentioned, the games were hailed as a great success in Laos itself, and it’s not at all surprising that the state controlled press has echoed and hyped up this sentiment. More surprising is coverage elsewhere. The Nation in Thailand ran an editorial under the headline ‘First-time SEA Games host gives us a lesson or two’. The newspaper was especially impressed with this year’s ‘break from the SEA Games’ vicious circle, in which visiting countries are cheated or feel they have been cheated’. But I doubt this positive response has been universal. 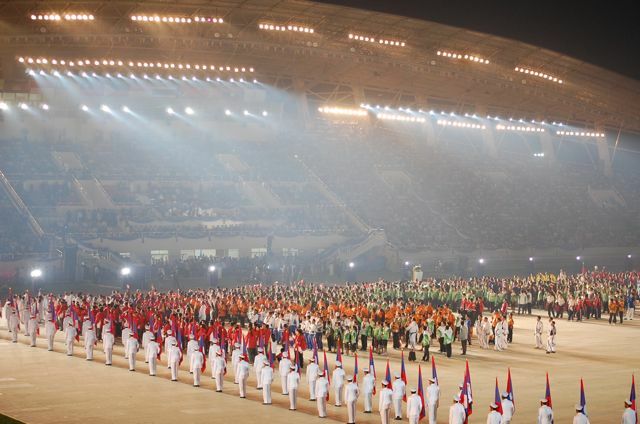 Before the games concluded, I was told that sections of the Thai press had suggested the widespread popular support of the Lao athletes and teams had only resulted from mass mobilisation, and perhaps even payment, by the Lao government. I haven’t had a chance to follow up these assertions, which for most at the games would seem ridiculous. 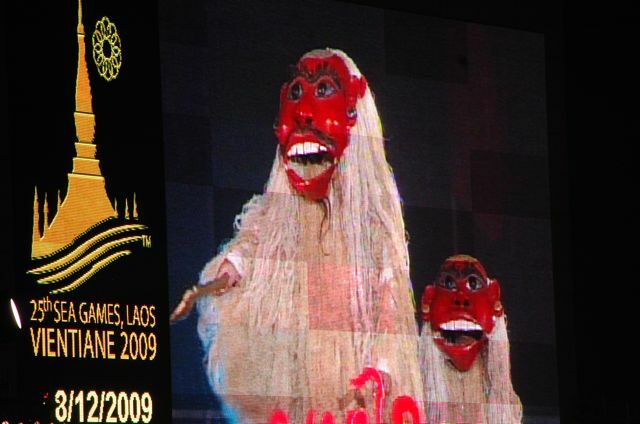 But assuming they were made, the comments indicate a superior and condescending attitude to the Lao hosts and Laos in general – for they suggest Lao people could never have patriotic pride unless it was somehow manufactured – and a strong counterpoint to the Nation’s line. 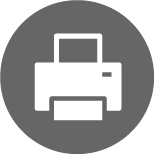 I’d be very interested to hear of coverage elsewhere in the region, both good and bad. 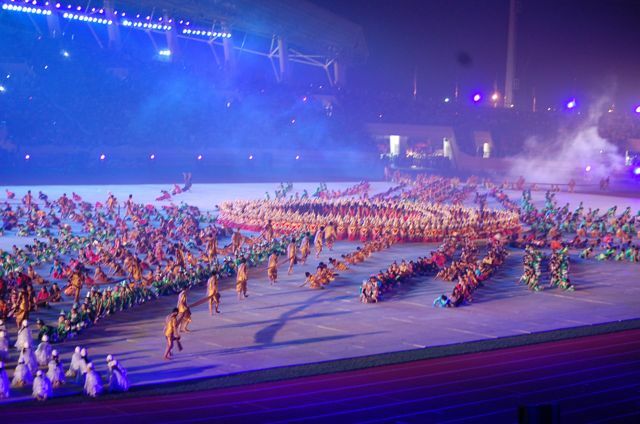 Photographs of the closing ceremony (hover over picture for captions). I agree with Simon that the Thai press is showing its usual condescending and patronizing attitude. I live and work in Laos and it was easy to see that the outpouring of Lao patriotism and feeling for their athletes was quite spontaneous genuine and heart felt. 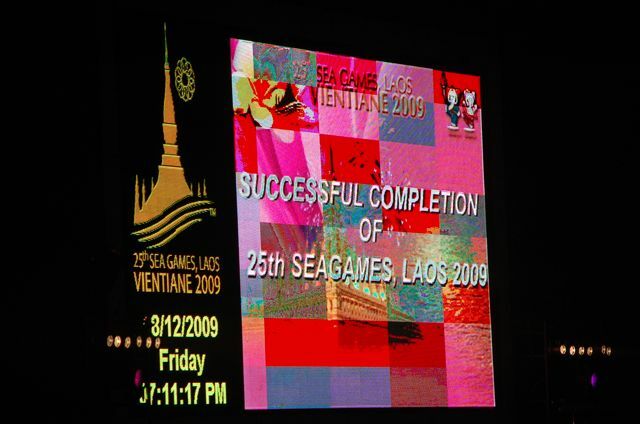 While the games were not perfect the Lao should be commended for what they were able to accomplish and the truly fun games they organized. i think we will see that this was quite a watershed and another step in opening the country. 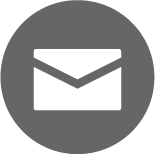 The announcement that governmentis now actively encouraging Lao citizens abroad to return (http://bit.ly/4tSor9) and providing them with legal status is one outcome of the games that will have long reaching positive outcomes. I find it quite ironic that on Thai TV there are there commercials espousing “samakhi” (comradeship) while there is very little in reality to be seen in the country. 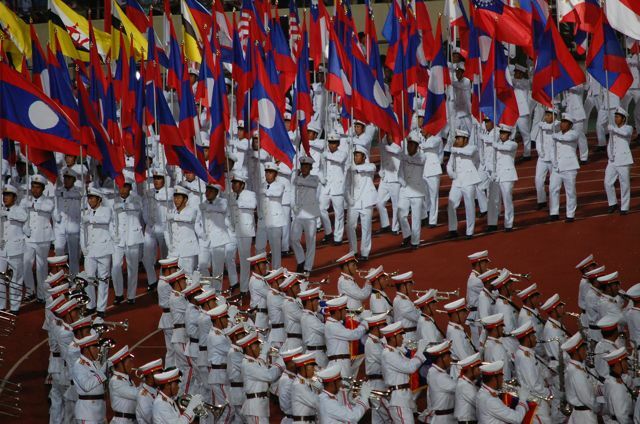 I think in this instance the games really did galvanize and show the Lao “samakhi”….